The 2013 harvest season is here. During this busy season, it is important that we do not forget about farm safety. Farmers should be checking their equipment to make sure that all safety equipment is in place – safety shields, fire extinguishers, etc. The fall season brings us shorter daylight hours, so make sure that you have adequate lighting, flashers and reflective strips on your equipment. Most important of all, let’s all slow down on the rural highways and keep a watchful eye for slow moving vehicles and equipment. 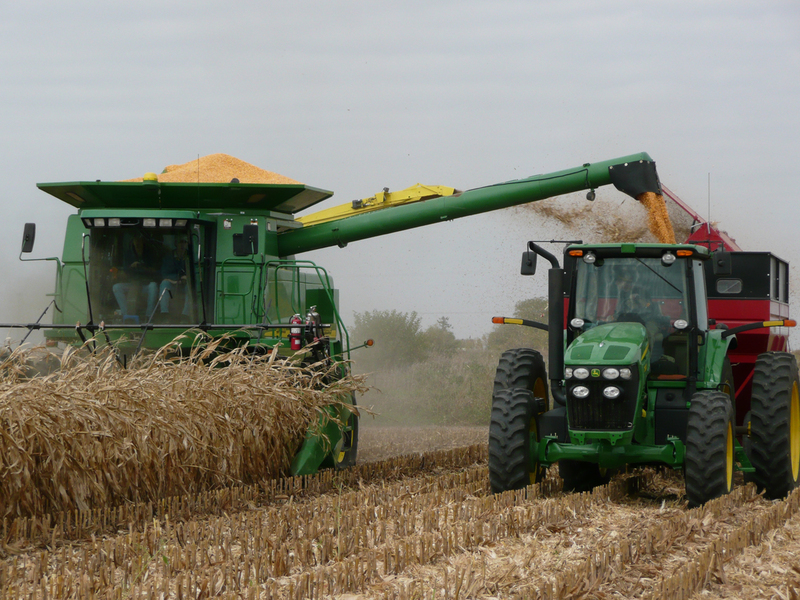 Farm producers need to keep several things in mind when they begin to harvest their crops. Be aware of your crop insurance coverage. You will find that this year’s crop yields will be extremely variable. We experienced many challenges planting the crop and then moisture was very limited during July and August. If you notice your yields are below or near your insurance guarantees, contact your crop insurance agent immediately so that a claim can be filed. Claims need to be filed within 10 days of harvest completion. Please keep load records of yields from each farm and mark your bins if you are co-mingling production from several farm units. This is important even if you are on enterprise units so that you retain that individual farm yield history in event that you change your insurance plan in the future. Also, if you are comingling 2013 crop with carry-over 2012 crop inventory, you need to request a measurement of the 2012 crop on hand. Without a measurement, your 2012 crop would be counted as 2013 production on 2013 crop claim. If you need a crop appraisal in the field, you need to leave a four- row strip the entire length of the field. You should have a strip for every 20 acres. Once harvest is completed, report your yields to your agent as soon as possible while the data is readily available. This year some producers may have a revenue claim on their crop insurance policy. This may be the case in corn as currently, December 2013 corn is over $1.00 lower than the established spring price guarantee of $5.65. If you have any questions about crop insurance, don’t hesitate to ask any of our crop insurance agents. The harvest season gives our producers time to reflect on their equipment needs as they spend many hours in their tractors and combines. When evaluating those needs, please consider Citizens Bank Minnesota for financing those needs. We offer very competitive interest rates and flexible repayment terms. All of us at Citizens Bank Minnesota hope for a safe and bountiful harvest. Are not deposits of or guaranteed by a bank or any bank affiliate.